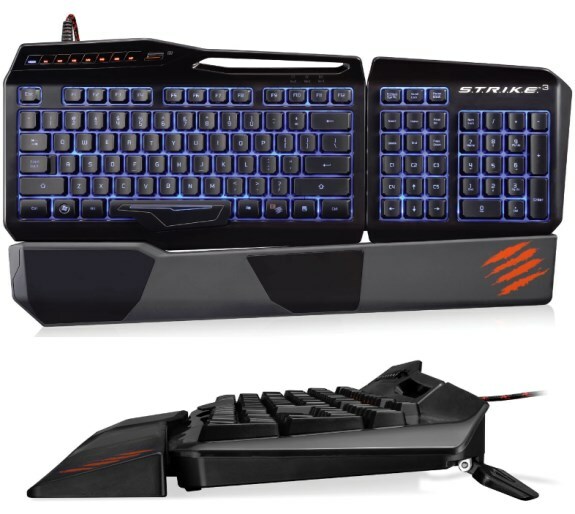 Mad Catz introduces S.T.R.I.K.E. 3, a new gaming keyboard that will ship this fall. Mad Catz Interactive, Inc. (“Mad Catz”) (NYSE MKT: MCZ) announced today the S.T.R.I.K.E.3 Professional Gaming Keyboard for Windows® PC. Expected to ship fall 2013, the S.T.R.I.K.E.3 has been designed with the competitive gamer in mind, offering an impressive feature set and a unique membrane key-bed designed to offer the full tactile feedback of mechanical keys but without the excessive noise or the need to ‘bottom out’ the keys.